Eric is President and owner of Green Touch Services. He is actively involved in all aspects of the day-to-day operations of the company. You are most likely to find Eric either visiting and inspecting job sites or crunching numbers at his desk. Outside of work Eric enjoys spending time outdoors with his family. His favorite plants are Weeping Cherry, Serviceberry, and Profusion Crabapple. Kon manages our Landscape Division. He has been in the industry for almost 30 years, and with Green Touch Services since 2004. Kon is a master machine operator and can usually be found offering a helping hand to anyone who needs it. Kon’s favorite plants are Hydrangea and Oak trees. After a long hard day at work, Kon enjoys going home to do some more landscaping! He may be a landscape junkie! 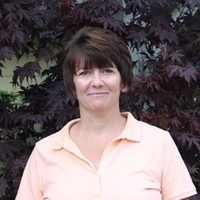 Natalie has been with Green Touch Services since 1999. Natalie manages our annual color program and bed maintenance services, and assists with accounts management and customer satisfaction. Natalie’s favorite plant is probably the Elephant Ear, but Impatiens is a close runner-up. When not at work, Natalie can usually be found doing something outdoors with her FOUR dogs close behind! 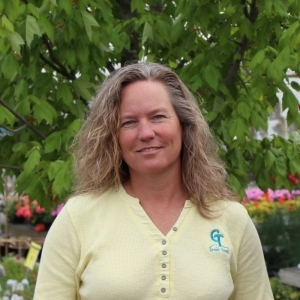 Elizabeth joined the Green Touch Services team in the Spring of 2014. Elizabeth is the person who usually greets clients on the phone. 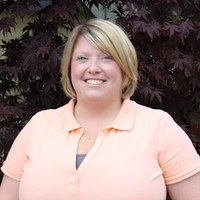 She also shares in the day-to-day administrative duties including accounts payable, billing, and irrigation scheduling. Elizabeth enjoys spending time with family and friends outside of work, and her favorite plants are the Gingko tree and Coral Drift Rose. 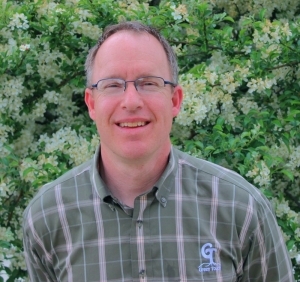 Russell is a Professional Landscape Architect, licensed by the State of Indiana to practice landscape architecture. He has been with Green Touch Services since 1998. Russell’s favorite plant is Cedar of Lebanon. 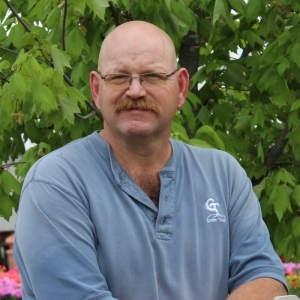 Outside of work, Russell enjoys spending time with his wife and children or working on home improvement projects. 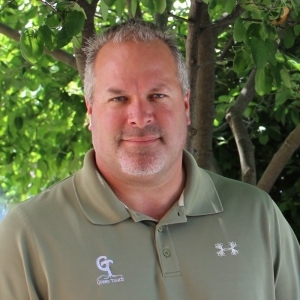 Scott has been the General Manager at Green Touch Services since 1997. Scott is actively involved in sales, accounts management, and oversight of all grounds maintenance activities. 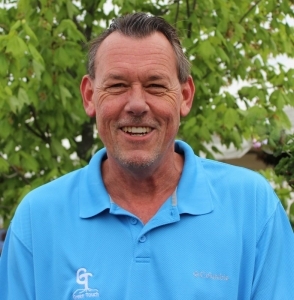 Scott’s favorite plant is the White Oak, and he prefers to spend his time on the golf course when not at work! Lisa started with Green Touch Services in 2013 as Office Manager. She handles our accounts receivable, human resources, and payroll. In her spare time, Lisa enjoys reading and spending time with her family. Lisa’s favorite shrub is the Lilac. Tim manages our Residential Division. 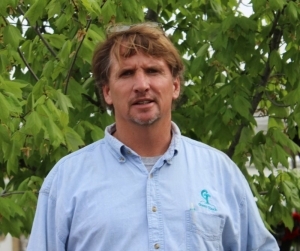 He has been with Green Touch Services for 10 years and has been in the industry for nearly 30 years! Tim is a true outdoorsman who enjoys canoeing, fishing, and camping outside of work. Tim has several favorite plants, including mature Maple and Spruce trees.